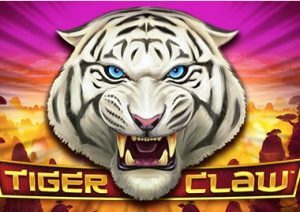 Join the wild animals in the Asian wilderness in Tiger Claw, a 6 reel, 4,096 ways to win video slot from Playtech. Available to play on all devices, it comes with a feature round that awards up to 100 free spins with wilds that can boost payouts with 2x, 3x or 5x multipliers. Stakes range from between 40p and £80 per spin. With a hilltop sunrise scene in the background, you’ll see the usual assortment of lower value royal values spinning around the bright red reels. More lucrative are the snakes, boars, goats and raccoons. The best symbol is the white tiger. This pays 1, 3,75, 5 or 7.5 times your stake if you land 2, 3, 4, 5 or 6 of the tiger on adjacent reels. The only feature is the Tiger Free Games feature – land 3, 4, 5 or 6 of the Free Games scatter on the same spin and your reward will be 8, 15, 25 or 100 free spins. A new symbol enters the fray during the free spins. This Chinese letter character is a wild. It’s not just any old wild either. Whenever it makes up part of a winning combination on reels 2, 3, 4, 5 or 6, the payout receives a 2x, 3x or 5x multiplier boost. There are plenty of opportunities to land more free spins too. Land 2 free games scatters and 5 more free spins will be added to your tally. Hit 3, 4, 5 or 6 and it’s again 8, 15, 25 or 100 more free games. You can win an infinite amount of free spins too! At first glance, Tiger Claw looks a little unusual. It’s a pretty simple game though. The design is what we’ve come to expect from Playtech. The gameplay is also solid enough too without being really spectacular. The bonus round does have its charms thanks to the large number of free spins on offer and the potential from the wild multipliers. Tiger Claw is an enjoyable enough game but it didn’t really bowl us over. If you like the wild Asian theme, then it should appeal though. Just for your reference, it’s identical in terms of gameplay to Epic Ape and Buffalo Blitz.